Robert Morgenthau’s announcement that he will retire after more than three decades as Manhattan’s district attorney caps an impressive career in law enforcement. With his latest case, against banks illegally aiding the governments of Iran and Sudan, three generations of Morgenthaus have now confronted perpetrators of genocide — which is as tragic a commentary on the persistence of human rights abuses in modern times as it is a tribute to a remarkable family that has fought those abuses. It began with Robert Morgenthau’s grandfather. A lawyer and realtor in turn-of-the-century Manhattan, Henry Morgenthau Sr. was an unlikely crusader for human rights. His life took a surprising turn when his support for the long-shot presidential candidacy of Woodrow Wilson was rewarded with the post of American ambassador to Turkey. Under the cover of World War I, the Turkish authorities embarked on a campaign of mass murder against their Armenian citizens. Morgenthau’s desperate cables to Washington about this “attempt to exterminate a race” — relaying details of the wholesale deportations, massacres and rapes — are among the most important evidence of the atrocities. The ambassador persuaded The New York Times and other news media to report on the “race murder,” as he called it; he inspired charity groups to raise relief funds for the survivors. But the Wilson administration, anxious to remain neutral in the war, rebuffed Morgenthau’s appeals to intervene. Morgenthau resigned in frustration in early 1916. While Morgenthau was unable to save the Armenians, his example has stood as a beacon to generations of activists determined to stop genocide. Morgenthau’s experience fills the opening section of Samantha Power’s Pulitzer Prize-winning book “A Problem from Hell: America and the Age of Genocide.” Now a senior foreign policy adviser to President Obama, Power regards “the American nonresponse to the Turkish horrors” as “establishing patterns that would be repeated” throughout the ensuing century. Power, according to recent media reports, is now attempting to break the pattern by urging active American intervention against the genocide in Darfur. Two decades after Henry Morgenthau Sr. resigned his post as ambassador, a twist of fate put his son in a position to act against genocide. As the proprietor of apple orchards in New York’s Dutchess County, Henry Morgenthau Jr. became friends with his neighbor Franklin Delano Roosevelt. In 1934, Roosevelt named him secretary of the treasury. Under ordinary circumstances, the Treasury Department would not deal with matters affecting Jews in Hitler’s Europe, but in 1943 Jewish groups asked the department for permission to send funds into Axis territory to ransom Jews. The State Department’s attempt to stall the rescue plan aroused the ire and curiosity of a senior Morgenthau aide named Josiah DuBois. His investigations revealed that the State Department had been suppressing news of the Holocaust and sabotaging rescue opportunities so America would not have to deal with what one official called “the burden and the curse” of having to care for refugees. In early 1944, Morgenthau confronted Roosevelt with the evidence and urged him to create a government agency to rescue Jews. Just then, leading members of Congress, galvanized by the activist Bergson Group, were pressing the president to establish such an agency. The pressure convinced a reluctant Roosevelt to create the War Refugee Board. During the final 15 months of the war, the board helped save an estimated 200,000 Jews. Like his father and grandfather, Robert Morgenthau chose a career path that one would not expect to embroil him in international affairs. As Manhattan’s district attorney since 1975, Morgenthau prosecuted the usual array of criminals, from muggers to Mafia bosses to white-collar swindlers. Last month, however, Morgenthau announced the results of what is perhaps his most important investigation: His office caught 10 major international banks laundering “billions of dollars” for Iran and Sudan. Part of the money purchased goods that international sanctions prevent Tehran and Khartoum from acquiring. Some of the money was channeled to terrorist groups, including Hamas and Hezbollah. Ironically, Morgenthau’s bank investigators have been collaborating with the Treasury Department’s Office of Foreign Assets Control — the same office that, under the direction of Josiah DuBois, his father worked with during the Holocaust. Three generations of Morgenthaus were unexpectedly thrust into the international arena and rose to the challenge. Henry Sr. exposed the perpetrators of the Armenian genocide. Henry Jr. helped interrupt the Nazi genocide. Now the Sudanese regime that is carrying out genocide in Darfur and the Iranian regime that dreams of genocide against Israel are facing their own Morgenthau. The family’s legacy has come full circle. 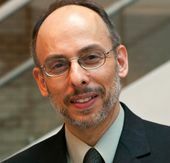 Rafael Medoff is director of the David S. Wyman Institute for Holocaust Studies and the author of “Blowing the Whistle on Genocide: Josiah E. DuBois, Jr. and the Struggle for a U.S. Response to the Holocaust” (Purdue University Press, 2008). This story "Morgenthaus vs. Genocide" was written by Rafael Medoff.